Dr Michael Walsh, Director of Weed Research at The University of Sydney is a pioneer of harvest weed seed control research and is convinced that the tactic can be effectively deployed against northern region weeds. “The concern people usually have is that several key species in the north start shedding seed before the winter harvest,” he says. Dr Walsh says chickpea crops are a great place to start with HWSC because the crop requires a low harvest height, which increases the amount of weed seed that is collected, and many crops are desiccated prior to harvest, which may assist with seed retention in some weed species. What northern weed species are the best candidates for HWSC? Short answer: African turnip weed, turnip weed, wild oats, annual ryegrass, feathertop Rhodes grass, sowthistle and bladder ketmia. Longer answer: These species are rated as very high to intermediate for seed retention at harvest. 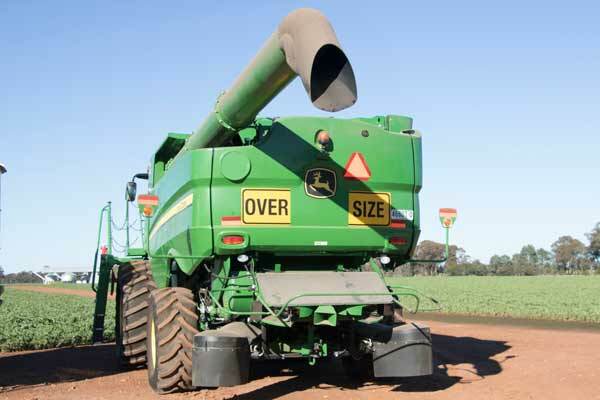 This means that at least 20 per cent, and up to 100 per cent, of the seed is present on the plant at harvest and able to be collected through the front of the header. Once in the header, destruction of the seed is almost guaranteed through impact, burning or breakdown, depending on the HWSC method used. What about flaxleaf fleabane and awnless barnyard grass? Short answer: Seed retention of these two species at harvest is highly variable. Longer answer: Both flaxleaf fleabane and awnless barnyard grass have a wide range of seed retention at harvest. Ranging from less than 20 per cent to over 90 per cent, the impact of HWSC on the seed bank is not a sure thing, but in some years could be very effective. Which HWSC method is best? Short answer: All are equally effective at reducing the weed seed bank. Longer answer: The HWSC methods currently available to growers are narrow windrow burning, impact mills, chaff lining, chaff tram-lining, chaff carts and bale direct. All except the impact mills have some level of nutrient removal or concentration. Narrow windrow burning and chaff carts usually involve a burning operation the following autumn and the bale direct system relies on a market or on-farm use for the hay. The impact mills, bale direct and chaff cart systems require sizeable investment and harvester modification while the other systems are very cheap and relatively easy to set up. How often does HWSC need to be done to be effective? Short answer: The more the better but it doesn’t have to be every year in every paddock. Longer answer: Long term focus paddocks in WA have shown that HWSC every second year, in addition to in-crop herbicide applications, will consistently drive down the weed seed bank to very low levels. Within a crop rotation many growers choose to implement HWSC in certain crops. For many, the break crops are the preferred crops due to lower levels of stubble, and for pulses, lower harvest heights.